With the average student debt running at £50,000, rising to an average of £57,000 for the poorest, there has been growing concern regarding the cost of going to university and whether it represents value for money. Today the Prime Minister admitted that trebling university fees failed to create a competitive market, and subsequently, an independent review into further and higher education was announced. One of the more controversial options the Government is looking at, is the introduction of variable fees for different courses, depending on the cost of putting a course on, potential graduate earnings and the economic value to the country. 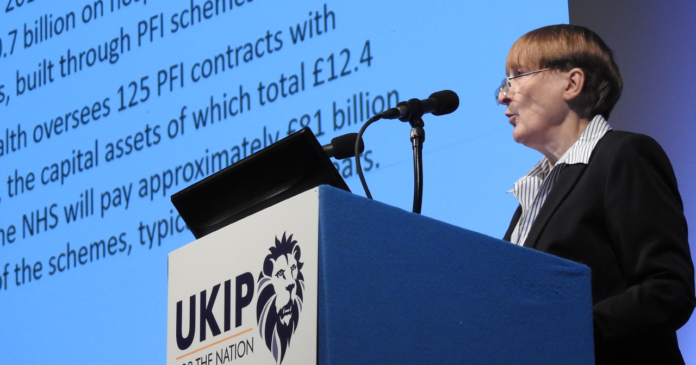 Responding to May’s speech today, UKIP MEP, Dr Julia Reid, responded rather favourably to some of the proposed changes, as we can all agree that the education system does not represent good value for money for either the student or the taxpayer. “Today the prime minister said that Labour’s policy to end tuition fees would not only mean tax hikes for the majority who don’t go to university, but it would also mean forcing universities to compete with hospitals and schools for funding and result in a cap being reintroduced on numbers. And we completely agree. “However, we in UKIP do believe that it is necessary to waive tuition fees for UK students studying STEM subjects, as we desperately need people with these skills. UKIP also believe that we should cover the cost of all tuition fees for nurses, & other healthcare professionals, provided they commit to working within the NHS after they qualify. “The average student debt is around £50,000, rising to an average of £57,000 for the poorest. These debts are often pointless, in career terms, as the latest figures from the ONS show 46 per cent of new graduates will end up in a job not requiring a degree. In many instances, students would be better off following an alternative route into the workplace, such as apprenticeships, rather than studying for a degree that is unlikely to help them get a job or set them on the path of their chosen career.